John Gay was the son of John Gay (Senior) and his wife Sarah. Born on the 1st January 1796, in Rochester, Kent. John was baptised on the 5th January 1796 in Rochester. The Gay family were of the Anglican faith. On the 24th January 1816, John married Cordelia Bristow in the sea-faring port of Rotherhithe at the age of twenty at St Mary’s, Rotherhithe, Middlesex (England). Mary herself was sixteen. They didn’t waste any time and welcomed their first child, Cordelia Bristow Gay that December on the 16th. She was baptised on the 8th January 1817 at St Mary’s, Rotherhithe. 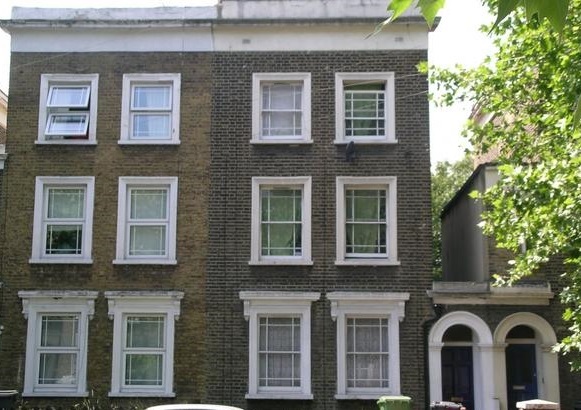 There are many roads in Rotherhithe that are recurrent in historical records for our Gay family. These roads include, Jamaica Road and Lower Road and then there are the roads that lead out to familiar area names such as Bermondsey and Tower Bridge, Deptford and Greenwich. 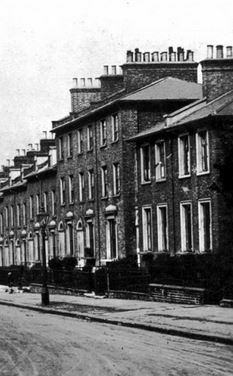 Brunel Road and Salter Road, Rederiff Road. Rotherhithe is and was a peninsula landform of London that contained the main docks that saw the inflow and outflow of water-borne traffic from London along the river Thames. Rotherhithe sits in the south London borough of Southwark. Previously it was in the borough of Bermondsey and prior to that the borough of Surrey so records can vary somewhat in the place names. Rotherhithe has been a place name since the middle-ages. It was also often called ‘Redriff”. Rotherhithe is thought to be a Saxon word meaning mariners landing place. Ship-building and all things nautical and sea-faring have been a feature of Rotherhithe for just about as long as it has been there. Particularly so in the time of our families occupation. The main Church of England, church in Rotherhithe is St. Mary’s and it was here that the Gay children were all taken to, to be baptised and where John and Cordelia were married. Our Gay’s were truly a local seafaring family and the salt spray with the call of the ocean meant that our John would answer. His occupation was given as a Master Mariner. A Master Mariner being the term used to denote the master or captain of a trade ship in the merchant navy. Doubtless, that John had first gone to sea as an apprentice in his early teens. The following year on the 22nd May 1818, their second daughter Ann was born. Ann was christened on the 12th June 1818. At this time they were living in Lucas Street, St Mary’s, Rotherhithe. On the 6th January 1820 their first son William was born like his sisters William was baptised at St Mary’s on the 5th February 1820 in Rotherhithe. Cordelia was born in Brighton in Sussex, England. There were a lot of John Gay’s around at our John Gay’s time. One of them got shot and murdered in Para (Brazil), (not ours). One of them was a Builder. One of them was a poet and writer of a rather fantastic Opera. (The Beggar’s Opera). One of them was an aristocrat involved in British politics, (definitely not ours). Our one was aboard ship, back and forwards to Brazil, a merchant mariner. Belem as it is now known or Para as it was then was a bustling port city. Indigenous communities had been colonised by the Portuguese in the mid 1500’s. The Brazilians did not welcome the Portuguese colonisation and the political mood was frequently tense with skirmishes. Canny & Pagden (1987) in their book Colonial Identity in the Atlantic World 1500 – 1800, talk about the problems that existed between the Brazilians and the Portuguese and Europeans and particularly the planters who saw themselves as a type of nobility in the Para region by right of their acquisition of the area by force. These ‘foreigners’ had frequent dealings in government and trade and the access and control of the land they occupied. What was also a feature when our family were there was the surge of people from the northern colonies of the Americas. Brazil was a population of mixed diversity. The South Sea Company had been set up by the British in 1700. From 1713 to 1870 it would transport and sell thousands of slaves across the world to the Americas, the Spanish Indies and the Caribbean. The treaty of Utrecht gave the South Sea Company the authority to trade their human cargo to the South American colonies on its Atlantic face. (Thomas 1997), The Slave Trade: The Story of the Atlantic Slave Trade 1440 – 1870. Our John and Cordelia were certainly travelling from Britain and around the world with their children at a time when slavery was a part of everyday life. Approximately 5.5 million slaves were brought to Brazil during the slave trade years.It is an absolutely horrible thing to consider but the reality is our John if not engaged in, he would certainly have known about and lived in this world where human traffic was cargo and a commodity. The South Sea Company also transported supplies across the ocean to Brazil. Aside from the South Sea Company there were many other companies and privateers from across Europe and the America’s who also provided transport and supply of all manner of cargo including humankind. The privateers greatly resented the monopoly the formed companies held and would frequently seek to undercut the larger organisations to secure a cargo. It was not uncommon for any party to engage in bribery to seek contracts or avoid paying taxes and dues at ports. In some cases privateers would even engage in the theft or destruction of property if it meant that they could ‘steal’ bounty or a contract. Into this mix also came the pirates, unlike the privateers their sole intention was to acquire through organised crime. Merchant ships were reasonable pickings and less likely to have the guns and the resources of the navy ships. It was part of the price you paid as a merchant navy trader that you undertook the risk of being attacked at sea and losing your cargo, your ship and often your life. The British politician William Pitt the younger said in the House of Commons in 1792, “No nation in Europe has plunged so deeply into this guilt as Great Britain”. So it’s not enough to say that this was the way of the world and everyone was comfortable with it. Because they certainly weren’t. However it would not be for some time yet before the slave trade would become illegal. Slave trading in Brazil would not end until 1888. European and Portuguese planters also came to Brazil intent on making a living off the land. The colony of Brazil had been built on slave labour. Merchants who could ply their trade by water-borne means were able to be the suppliers and transport for their cargo and crops to and from the trading ports and of course back and forwards to Europe. The British, Portuguese, French and Dutch all had a particularly high visibility in Brazil. The country was deemed to be under the control of the Portuguese until 1822 when it declared independence from Portugal. 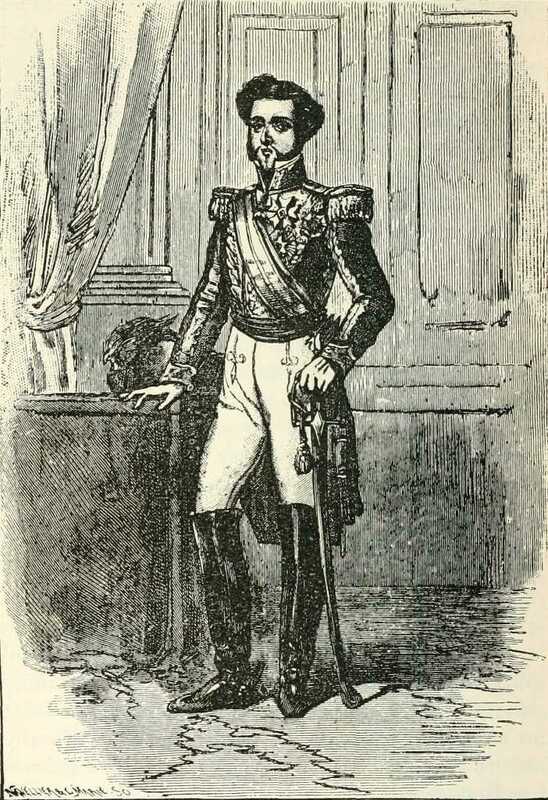 Even though its first Emperor Dom Pedro had been born in Portugal he later declared for the Brazilians and all armies loyal to Portugal continuing to rule Brazil were defeated. 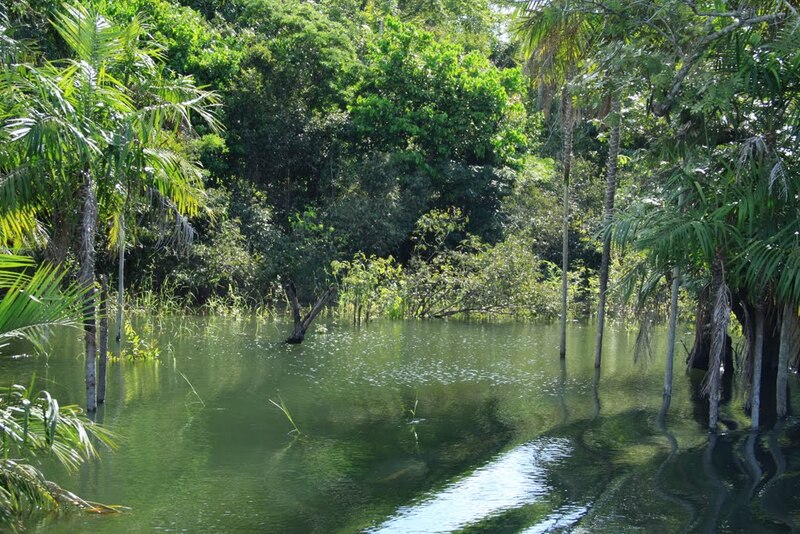 It was at Para and Santarem about 600 miles further up the Amazon river that John made his living and eventually brought his family. A ship could sit in the Para port for several months waiting for produce to be brought down different waterways by river craft. Once loaded the ship would sail away. John was engaged not only with international shipping but also in traversing the rivers with bringing in produced goods. John kept a house at Para and another at Santarem where he could stay and he employed a man there Jeffries whose job it was to mind and run the place whilst he was away. The trip from Santarem to Para was 3 days by river boat. During these years John and Cordelia were back and forwards to England with their family. From the Morning Post Newspaper on the 22nd July 1820 in Ship News reports came that John’s ship had been pirated on one of his journeys. The ship he was in charge of The Pomona. ‘The Pomona, Gay, from London, arrived at Para, 23rd May, after being plundered off the Canaries of property to the amount of 500 pound’. (Not unusual, the Canaries was famously home to pirates, located off the west coast of Africa). From the Liverpool Mercury Newspaper on the 22 December 1820, ‘Pomona, Gay, from London, at Para.’ News that John’s ship had arrived in Brazil. Around 1823 John had established his trade business at Santarem. Topographically speaking, Santarem has the Tapajos river and running adjacent but never joining it is the Amazon river. Further to this there are many smaller rivers and small islands that were in the area. John had his family with him at this time. They went to Barbados in 1824 for a while before coming back to Para. (It is possible, that this might have been a time where the Gay family could have met the Brereton family who resided there). A daughter Mary was born on the 24th April 1824 and baptised 13th March 1825 almost a full year later. Likely and possibly because they were away from England at the time. Their sixth child James was born 9th April 1826. There was likely one more child, an infant girl who would die in Para, Brazil. In April 1828 John died at Para and a few days later so did his youngest daughter. We have an eyewitness account of this as an Officer in the British Navy was travelling through Para and Santarem at this exact time and several records regarding the Gay family made it into his diary of his journeys. It may be imagined the mother’s feelngs, at losing her husband and her infant within so short a period; nor were these the only sufferings she had to struggle with, Mr Gay not having left her in affluent circumstances. The attention of Mr. Campbell and his circle was not wanting on the occasion and as I had nothing in particular to occupy my attention, I sat up with Mr. Henderson a young man in Mr. Campbell’s house, to watch the body; the following day it was buried in its father’s grave, in a piece of ground cleared away in the jungle, and allotted as an English or Protestant burial-ground. Most of the merchants attended, and the funeral service was read by one of the oldest residents, Mr. Hesketh, who as vice-consul, generally officiates being too unwell to attend. There had been several deaths within a short time, another British Merchant and the master of an English merchant brig, having died about the same time as Mr. Gay. Para is not, however considered to be an unhealthy place; it had been long since so many deaths had occurred before these took place, and Mr. Campbell assured me he was never so well as in Para. Mr. Gay had left a small place called A Rosa, about two miles from the city; it consisted of a building, containing two rooms, with a large and broad veranda, cooking place, a garden and thirty or forty acres of ground plonted with a few coffee shrubs, but indented principally for himself and his family to go out to occasionally. Somewhere in between these events and 1835, Cordelia returned to England (because she signs her son’s apprentice paperwork as Cordelia Williams in 1835). I wonder did Cordelia marry the Mr. Williams mentioned above? Nine years later John and Cordelia’s daughter (Cordelia Bristow Gay) married Robert Oliphant (October 1837) and John was recorded as dead on her marriage banns record. On the 1841 census, Cordelia Williams, aged 40 was married to Laurence Williams, and was living in the parish of St Mary Magdalen, Bermondsey. 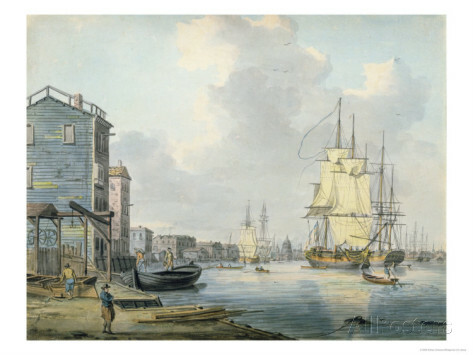 Again we know Bermondsey was a popular residential area for those connected with sea-faring occupation and other records on the page (for other neighbours) give the occupation as master mariner. It is highly likely that Laurence Williams was also a master-mariner as had been her first husband. They had a ten year old son, Laurence Williams and also living with them was Cordelia’s daughter, Mary Gay aged fifteen. At their son’s baptism (19 July, 1837) (in Bermondsy), Laurence senior gave his occupation as Gent (gentleman). On the 1851 Census circumstances had changed and perhaps Laurence Williams had died as Cordelia was living with her son John and his family in the parish of St Mark, Whitechapel, Town of London. John Gay aged 29, wife Elizabeth aged 21, mother recorded as Caroline William. (but it was Cordelia), aged 56. There is a Lawrence Gay (aged 21) recorded as a brother and having been born in France. John’s occupation was given as a beer retailer. Cordelia’s youngest son, Laurence Williams would have been twenty by this time. On the 1861 Census Cordelia was still living with her son John and his family. St Paul, borough of Greenwich, town of Deptford, 16 Amersham Road. Living with son John. At the time John was 39, wife Elizabeth was 31. Children, Justina (10), Cordelia B (5), Alfred (3), Arthur (1). Cordelia listed as mother (of John) aged 67. By the 1871 Census, Cordelia now aged 75 was living with her daughter, Mary Thorpe and grandson William Thorpe in Brighton, Sussex. As Mary’s husband, William Thorpe is not listed it is possible that he had died and left Mary widowed. I have an unconfirmed date that Cordelia died in 1877. Cordelia and John’s son, William Gay would go onto be a merchant navy man himself and go to the Barbadoes as they were known at the time and marry his wife, Eliza Brereton. (story on this website). As a footnote to the slave-trade, Brazil was the last place in the western world to abolish slavery and not until 1888. An estimated forty percent of the slaves brought to the Americas were brought to Brazil. 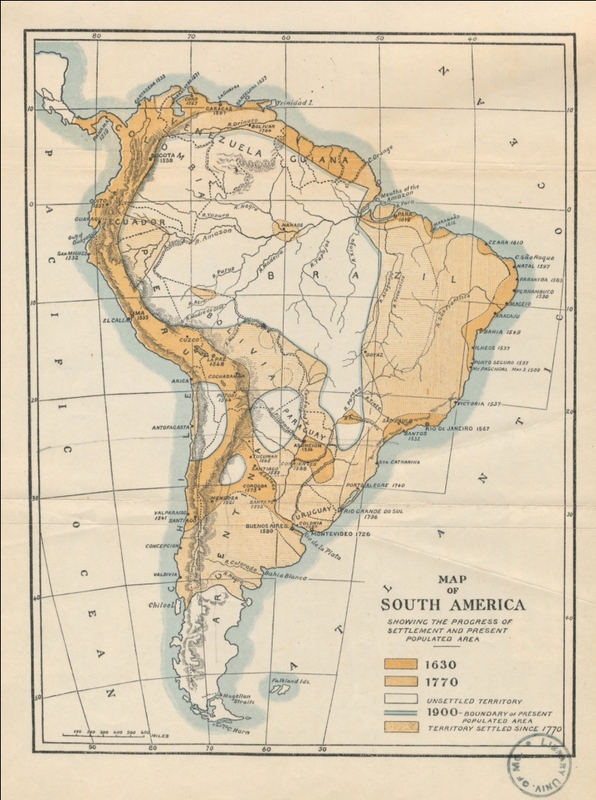 Colonisation was not (unsurprisingly) well received in Brazil and the presence of several nations beyond Britain, including Portugal, the Netherlands and the northern Americans all jockeying to make a profit and establish land-holdings, caused a turbulent environment which impacted negatively on the indigenous Brazilians. Typical of houses in the street.